Prizes (tentative): Trophies for 1st, 2nd, 3rd, Top U2000, Top U1800, Top U1600, Top U1400, Biggest upset. KCC and USCF memberships are required (KCC dues for 2013 are $7.50 for those age 17 or less, $10 for those age 65+, $15 for everyone else). Please register with TD Geoff McAuliffe during our 1/3 meeting or before 8:20 p.m. on 1/10 @ Kenilworth Community Center, 575 Boulevard, Kenilworth, N.J.
Past Champions include LM Scott Massey (who has won the title 12x), Rene Ray (1996), FM Steve Stoyko (2005-2007), LM Mark Kernighan (2008), SM Yaacov Norowitz (2009), NM Arthur Macaspac (2010, 2012) and NM Ken Chieu (2011). 22 players took part in last year's event. Life Senior Master Yaacov Norowitz went 4-0 in last night's New Yorker G/30 and raised his USCF rating to 2601. - The meeting commenced at 8:45 p.m.
- Members in attendance included Don Carrelli, Geoff McAuliffe, Greg Tomkovich, Pat Mazzillo, Lou Sturniolo, Joe Azzarello, Michael Goeller, Mark Kernighan, Howard Osterman, Bert Shiffman, Bob Sherry and John Moldovan. - Treasurer Geoff McAuliffe announced the club had a profit in 2012 and noted that was primarily because payment for our website wasn't due this year. - Michael Goeller gave a brief report about kenilworthchessclub.org's traffic and our blogs' high ranking. - Secretary Moldovan declared that he was too busy to continue being a club officer. - Don Carrelli was elected President, by a 7-4 vote, over Bob Sherry. - Joe Renna was re-elected Vice-President, in a narrow 6-5 tally over Sherry. - After Sherry and Kernighan declined nominations. Ian Mangion was elected Secretary, by acclamation. - Geoff McAuliffe (Treasurer and Tournament Director) and Michael Goeller (Webmaster) were re-elected to their offices by acclamation. - Greg Tomkovich was re-elected (by acclamation) to another term (2013-15) as Trustee. - USATE sponsorship in the amount of one full entry fee ($150?) was approved. Funds will be divided between teams that contain 4 KCC members and use KCC (or Kenilworth) in the team name. - A 5-round Swiss was chosen as the format for the 2013 Club Championship, by a 7-3 margin over an 8-player Round-Robin. - The membership then decided, by an emphatic 10-1 count, that the Championship will not be rated. - The Club Championship will begin on January 10 and run thru February 7th. The time control will G/75;d5 (not the 90+5 of previous years.). February 14th will be reserved as a snow date. The entry fee will remain dues + $10 + $5 anti-forfeit deposit ($30 for most players). The Kortchnois' players in attendance chose to play their January match at the Kenilworth Community Center, not at Rutgers University. The Karpovs' acting Captain (Moldovan) revealed that the team needed another player for the January 7th match in West Orange. 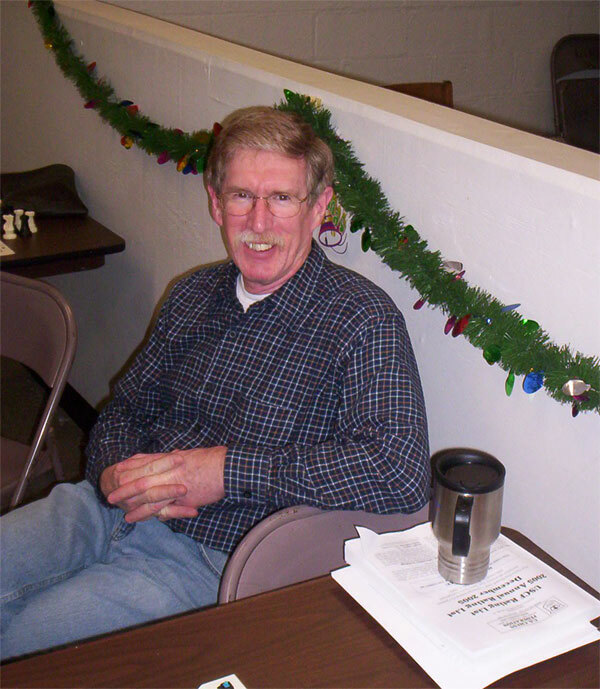 Don Carrelli has been elected President of the Kenilworth Chess Club. 2013 will be his 2nd term at the helm. Don also served as President in 2010. Ian Mangion replaces John Moldovan as KCC Secretary. Joe Renna, Geoff McAuliffe and Michael Goeller were re-elected to their posts. Wrapping-up my coverage of the KCC's 5th Sy Fish Memorial, here are 12 of the games in Java-Replay and zipped PGN.